Day 6 of ’30 days, 30 marketing tips’. 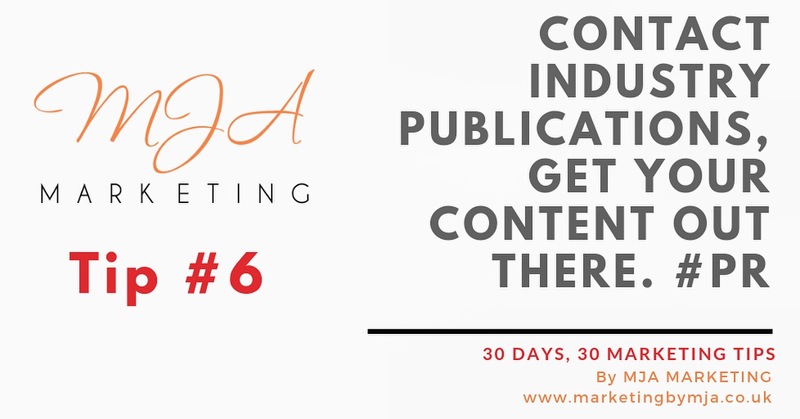 This entry was posted in 30 days, 30 marketing tips, Public Relations (PR). Bookmark the permalink.